Set 1: Phil Wiggins + George Kilby Jr.
Phil Wiggins plays the harmonica better than any blues-man around, making his pocket-sized instrument sing, howl and moan. He was recently awarded a NEA National Heritage Fellowship, recognizing his contributions to national arts culture. As a longtime collaborator and sideman for Blues and R&B icons like Pinetop Perkins and Henry Butler, George Kilby, Jr. has taken his music from the road-houses of the Southeast to the major music festivals of Europe. 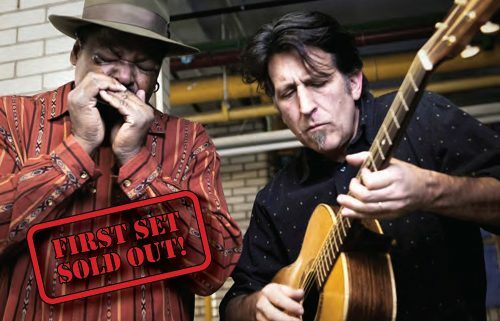 A Vail favorite after their debut last summer, Wiggins and Kilby, Jr. return this winter with their unique blend of jazz and blues influences.